It’s snow joke: commuting has been a pain this week. Delays and cancellations have been rife, despite the ‘Beast from the East’ snow storm arriving pretty much as predicted. So is it time for train passengers to get automatic compensation for delays and cancellations? Many of you will have been graced with a dusting, or a few centimetres, of snow over the past few days. And as Carol Kirkwood on BBC Breakfast has reminded me every morning this week: it’s cold, it’s getting colder and there’s more snow on the way. Despite attempts by the Beast to stop me, I’ve just about managed to keep commuting as normal this week. And judging by how packed my trains have been, so have many of my fellow commuters. For the latest updates on how my trains are running, I’ve been keeping a close eye on Twitter to see what other irritated passengers are tweeting (the news from my train operator hasn’t been particularly forthcoming). And I’ve grown accustomed to wrapping up warm, with walking boots to steady myself, for the inevitable lengthy waits on the platform for the train to finally crawl into the station. This morning was no exception, and I found myself stood for the best part of an hour, as one train was cancelled and another delayed. And as I peer through the windows of our Marylebone Road office and watch the snow continue to tumble down outside, I wonder what’s in store for my commute home – will I be caught up in travel havoc? Of course, I can claim compensation for these delays, In fact, I’m well versed at it now – I take out my phone and note down the date and time of the delay. That way, when I eventually find a moment to file my claims, I have all the details I need. The actual process of filing a claim for me isn’t too much trouble – it requires a log in (because the train company then has all of my details on record), I also need the details and image of my season ticket (which I have a photo of on my phone) and then the date, time and reason for delay. Providing you have all the information, the process takes about 10 minutes. But when you find yourself doing this every day, and sometimes twice a day, it’s takes up a fair chunk of time. Now, every time I fill in that pesky form I wonder whether it should be simpler. I’m a delayed passenger, who has been told so by the train driver apologising for the delay, now having to prove the delay to the train company with all supporting evidence. The company will then examine the evidence and credit my bank account if it agrees. Train companies automatically receive compensation from Network Rail for disruptions but most train companies require passengers to jump through hoops to get their money back. But most train companies require their passengers to complete the admin forms, and some are trickier than others. While we have free online guides to help affected passengers navigate the confusing claims system, these don’t fix the problem of train companies not dishing out the dough that’s owed to all of their affected customers. Isn’t it time hat train companies sorted this out, improved their systems and simply automatically compensated their customers? Do you agree that delayed rail passengers should be automatically compensated for rail disruptions like the rail companies are? Have you been delayed by the Beast from the East, too? 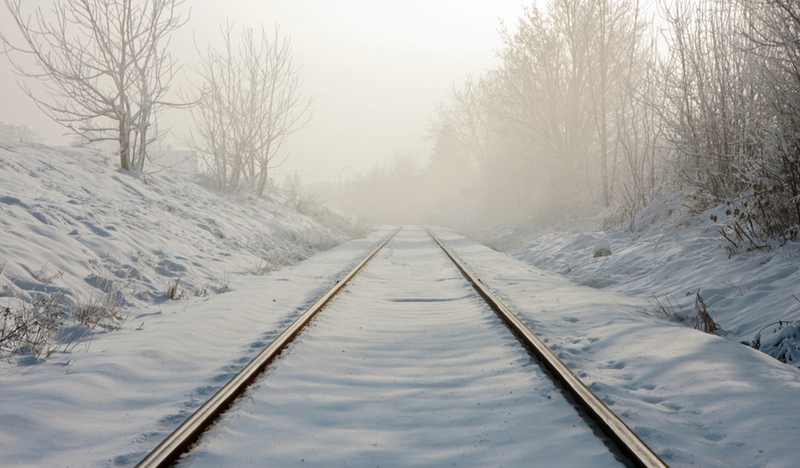 Have you found it tricky to claim for a train delay or cancellation? Every ticket has to pass through a ticket barrier be that an electronic one for smart tickets or one for cardboard tickets. These need only record electronically where the journey commenced and terminated and the timings for both. From this it could be extrapolated that the passenger was delayed or faced a cancelation. It would also recognise that the customer was not able to travel on one service if the had to use the ticket to exit the platform before boarding and if they were delayed by an overcrowded service. It would not be beyond the realms of possibility for the gate to recognise a card ticket and print a delayed X minutes on it somewhere and include a bar or QR code which turn up and go passengers could scan to receive compensation or indeed compensation from the ticket office. On smart tickets it could register automatically on the users record that they had been delayed and credited with compensation so that they would not have to pay as much next time. Nationalised Network Rail have a huge debt mountain to pay interest on and have been prevented since their conception following the collapse of Rail Track to charge the train operating companies the full cost of track maintenance and improvements. It was because of this debt mountain that they were recognised by the government as a nationalised body. The government provides Network Rail with a subsidy but this was never enough to make any real impact on this debt and cover the governments track improvement plans. Track electrification for the Great Western Line for example ran into unforeseen costs as the cabling for the signals and points had been buried and no record had been kept as to where these cables were located. As a result all the cables had to be dug up and restrung on the route before the overhead electric cable gantries could be erected. This increased the cost of the improvement enormously but the funding from government remained the same. Now the governments plan has been to subdivide Network Rail so that it more closely matches the passenger train operator routes, and provide the funding for track maintenance to the train operator to commission Network Rail to do the repairs and upgrades. This is all good news for the passenger services as the operator has more control over where the services are disrupted but it totally removes funding for repairs to the freight only routes that help remove hundreds of thousands of long haul lorry journeys from our roads. Network Rail still has to automatically pay compensation to the passenger and freight operator for delays but only if it their fault. If the service is disrupted due to a broken down train then it is all due to the train operator to compensate all other users of the line for delays. Currently there is no need for a passenger service provider to pay compensation unless passengers are delayed by 30 minutes yet they are paid out if they are delayed by only 10 minutes. Even then compensation is normally judged on the arrival time at the final destination of the train. This is why you may have noticed that the timetable provides far more time than is required between the penultimate station and the final destination. That way the train could be 11 minutes late, the train company will receive compensation from Network Rail and would have no obligation to pass this on to the passengers. Therefore this compensation simply ends up in the “profits” of the passenger service operator. If you read the CRESC report on rail from 2013 you obtain a far better picture of how the finances of the rail network in the UK operate. So yes there should be automatic compensation for delayed services. Airlines have to provide such compensation and even hotel accommodation fir delayed passengers at a cost which may exceed the cost of the ticket as it is recognised that the delay will have significant on-going consequences. Why should this rule not apply to the trains? You get what your given! Wait till they bring back the old stale, curly sandwiches and stewed tea, then you’ll know what suffering is! I’m a former commuter: very pleased to be retired this week. Having, therefore, not been directly affected I can observe that based on Tuesday’s forecast Greater Anglia went to an emergency timetable which, I believe, suspends Delay Repay when there was only a hard frost and a dusting of snow. Following justifiable criticism they put more services on and then suffered major delays and cancellations on Wednesday and Thursday when conditions were far worse than Tuesday. Profit appears to be a higher priority than customer service. Also what about the customers who need to travel home late after Greater Anglia chose to close early ? Running trains helps to keep the tracks open, so why not carry those dedicated and probably low paid workers who work late/start early to provide essential services to the rest of us ? On a very cold (-6c) 11 December last, I made a trial return trip to Manchester Airport. Both the out and return journeys were delayed by more than an hour. On the out journey, Well done Transpennine for keeping us informed about the cause and length of delay, but 👎👎👎 for tipping us out one stop short of our destination with no explanation or guidance on how to proceed. The return journey was via Northern; the scheduled train was in place in darkness without crew. No explanation, waited over an hour on a freezing crowded platform for the next. This was delayed and overcrowded when it arrived so not everyone was able to board. At Preston, we sat there for 40 minutes, with no announcement, so although I would loved to have gone to get a hot drink at the buffet, didn’t dare leave the train, in case it left. When we got going the train manager told me that the previous crew and station staff had known there would be this delay, but failed to inform us. In January I attempted to contact Northern a) to complain about several points detailed above and b) to enquire about my Delay Repay claim for which I had had no acknowledgement. Getting through to anyone on phone is nearly impossible on any of the options, and after waiting and hearing much music, gave up. Trying later, after 19 minute wait, spoke to someone who could not trace my claim, advised me to email and it would be dealt with. 2 more calls, with very long waits, in February, when I was told that compensation, when/if it comes, cannot be back onto a card. However their Delay Repay leaflet does state ‘You may have a legal right to receive compensation via the method you paid’ and call their number to arrange. So what is going on? How do these train companies retain their franchises with such poor service on all fronts?